There are a lot of options to help your money mature like bonds, mutual funds, and annuities. Neddenriep Financial has investment planners ready to answer all your diversification questions. Not every investor is ready for the volatile world of aggressive investing. For those that have a lower risk tolerance and a little more patience, Neddenriep Financial can help with bonds, mutual funds, annuities, and other financial services. Let our advisors assist you with determining if Bonds, Mutual Funds, or Annuities are right for your investment profile. Another investment option financial planners might offer is a bond. There are several types of bonds available both through corporations and the government. Though many bonds come with a variable interest rate they are often called fixed-income securities. Due to the nature of a bond, a lender can anticipate the exact amount of cash they will receive if a bond is held until maturity. This is considered a lower risk investment for your portfolio. There are decades of combined mutual fund management experience among the team at Neddenriep Financial. Our professional financial team has access to the tools and resources to help any size group of investors weather market volatility. We provide affordable options with a focus on diversification. One of the key parts of an investors retirement planning can be annuities. These contractually obligated payouts are available as fixed annuities, variable annuities, and income annuities. Like any of the investment options available, you should take the time to sit down and discuss annuities with a financial consultant. They can help you understand the differences and the return rates; and help you determine if an Annuity is right for you. Equities, or shares, in a company have been a part of the American investing landscape for quite some time. When an investor purchases equity in a company they become part owner. This entitles the investor to participate in the profits, and losses, and to participate in the company’s growth. The returns on these investments will vary based on the industry the investor chooses. Let the advisors at Neddenriep Financial help you determine if Equities are an option for your investment strategy. At Neddenriep Financial we take the extra step to make sure you have a comprehensive financial package. As financial consultants, we want to make sure your financial plan is as secure as possible. We have an insurance representative to make sure all your personal interests are covered as well. Feel free to live your life the way you want with a trusted Neddenriep Financial Services Representative. Each investor has their own goals that they would like to achieve. Neddenriep Financial takes the time to sit down and get to know not only your goals, but you, and where you see yourself. They can guide you through the many investment options available like bonds, mutual funds, and annuities. Our Financial Planners are available to help you plan your investment options, so they work in tandem with your current financial situation. Neddenriep Financial also offers other financial planning services like wealth management, retirement planning, investment planning, and advice on what to do about your investment tax. There is no guarantee that a diversified portfolio will enhance overall returns or outperform a non-diversified portfolio. Diversification does not protect against market risk. Bonds are subject to market and interest rate risk if sold prior to maturity. Bond values will decline as interest rates rise and bonds are subject to availability and change in price. 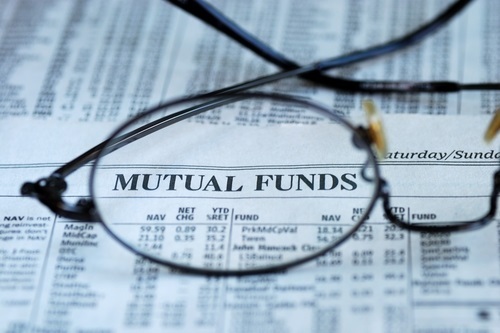 Investing in mutual funds involves risk, including possible loss of principal. Fixed and variable rate annuities are suitable for long term investing, such as retirement investing. Gains from tax-deferred investments are taxable as ordinary income upon withdrawal. Guarantees are based on the claims paying ability of the issuing company. Withdrawals made prior to age 59 1/2 are subject to a 10% IRS penalty tax and surrender charges may apply. Variable annuities are subject to market risk and may lose value. Contact one of Our Advisors to Learn About Bonds, Mutual Funds, or Annuities!